A 56-year-old man who died in a single vehicle crash in Gwynedd had been reported missing three days earlier, police have confirmed. 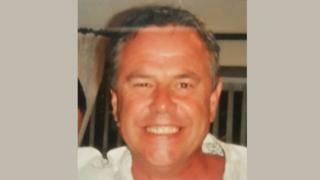 Stephen John Sharples, from Caergwrle, Flintshire, died in the crash on the A498 near Llyn Gwynant. North Wales Police were called to the scene at 13:00 GMT on Sunday. In a statement on Monday, the force said it was trying to establish the circumstances surrounding the crash. The force previously said it wanted to hear from anyone who had seen the silver Mazda MX5 anywhere between Corwen and Nant Gwynant, since Thursday.